It is beginning to look a lot like Christmas. The festive season's charm is infectious. From Christmas markets to shopping arcades sparkling with Christmas lights and trees to festive treats - it is the perfect chance to spend some wonderful time with family and friends. There are loads of Christmas competitions and games too. And here is a game from Yves Rocher that I am sure most of you will find very interesting. It is aptly called The Magic Moments and is open to all UK residents over the age of 18 years of age; with the exception of the employees of the organiser of the game. "When you access the game on the Yves Rocher site, you must first register your email address. You will receive an exclusive voucher code after your participation. This exclusive voucher code is available only via this online game during the 10th of November until the 22nd of November AND during the 1st December until the 4th of January 2016 when you spend £10 or more on www.yves-rocher.co.uk. Participants need to enter their voucher code in the checkout to confirm their Advantage." Some of the prizes you could win. The prize draw is made up of a number of amazing Yves Rocher products. 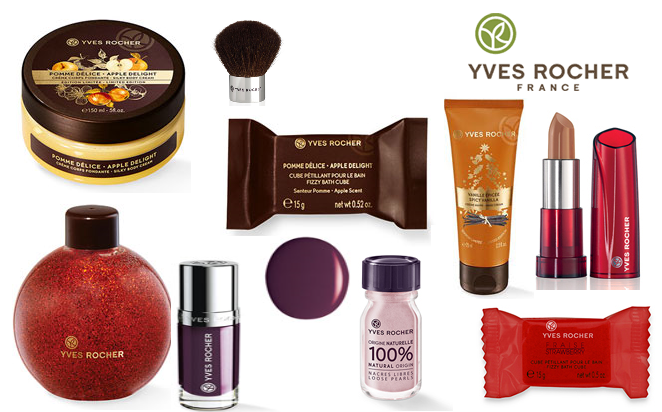 There is a total of £10,000 worth of Yves Rocher Christmas Beauty Products to be won - 170 sets to be precise. That means there will be 170 lucky winners. So, what are you waiting for? Play the game and you could get lucky. Visit http://www.yves-rocher.co.uk/ to play the game. Note: The rules and terms and conditions for the game can be found on the Yves Rocher website. The game is organised/run by Yves Rocher. I am no way related to it. I am just sharing it with my readers.